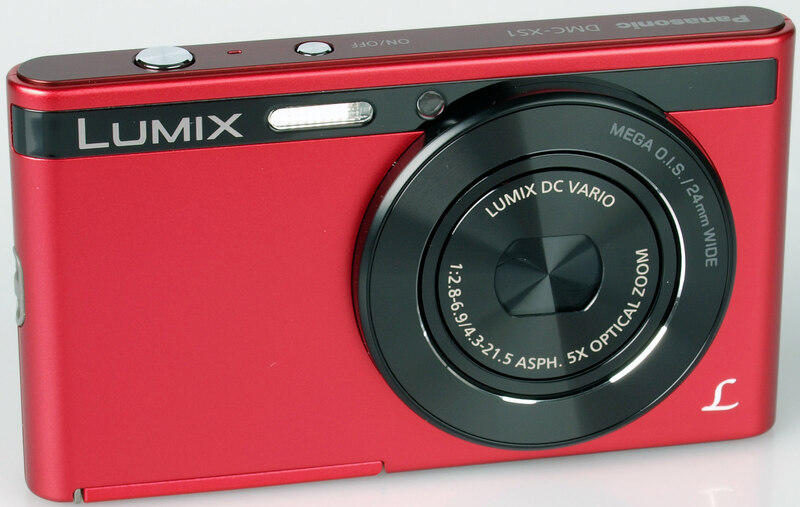 Daniel Bell reviews the ultra-compact Panasonic Lumix DMC-XS1. The Panasonic Lumix DMC-XS1 was announced in January 2013 and is an ultra-thin entry level camera. It has a 16.1 megapixel sensor, 5x optical zoom and available in white, black, violet and red for £86.52. 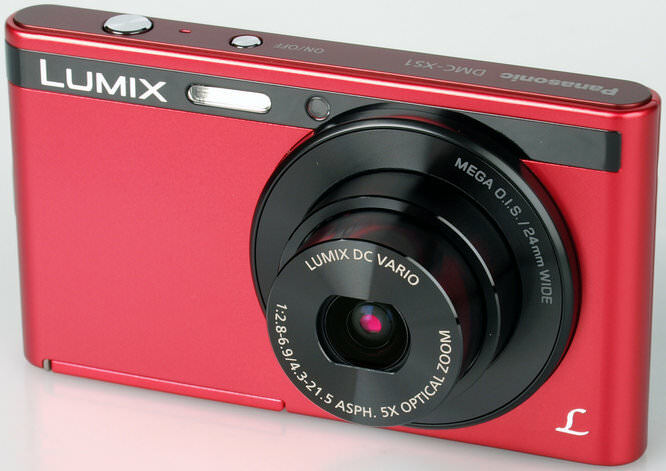 The Panasonic Lumix DMC-XS1 has a 16.1 megapixel CCD sensor and 5x optical zoom lens, which is a 35mm equivalent 24-120mm. This can be extended to 8x when using Intelligent Zoom. To help keep images as sharp as possible there is Mega OIS (Optical Image Stabilisation). The XS1 has Intelligent Auto mode to make picture taking as easy as possible as well as Intelligent ISO Control, Intelligent Scene Selector, Intelligent Exposure and Face Detection. There are 11 filters which can be applied in Creative Panorama mode as well as 13 filters in Creative Control mode. The filters can also be applied in playback by using the Creative Retouch option. Videos are recorded in 720p HD. The Panasonic Lumix DMC-XS1 is indeed an extremely tiny camera and it looks stylish, so it's ideal for carrying in your pocket or handbag when going out with friends. It has a metal body and uses a Micro SD card to keep the size down. The buttons are also tiny so might not be ideal for those with larger fingers, we found the on / off switch particularly hard to press. This is on top alongside the shutter release. Buttons on the back include mode, video recording, playback and delete as well as a zoom buttons and d-pad. This gives access to exposure compensation, timer and flash and menu and is also use to navigate the menu as well. The menu is easy to navigate, with a sentence at the bottom of the screen to explain what the option highlighted does. The screen is small as you'd expect for such a tiny camera with just a 230k dot resolution, but is clear to see in all light. 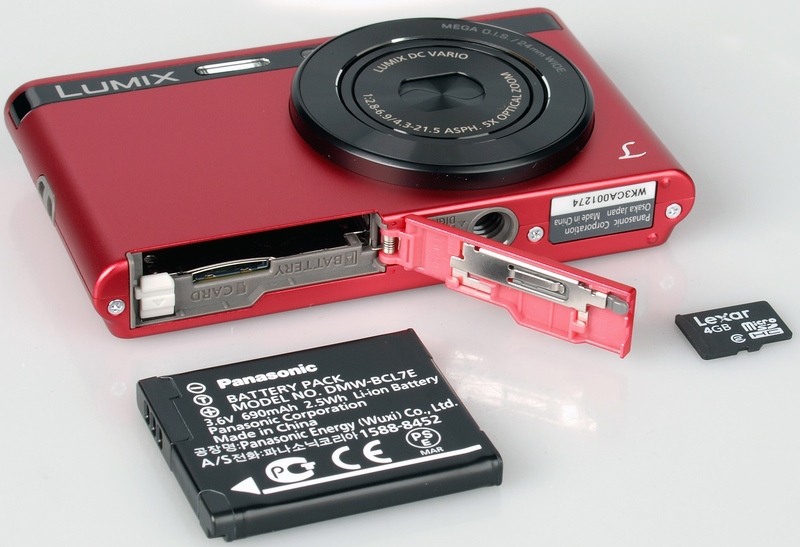 Battery life is rated at 260 shots according to CIPA test results, which is remarkably good for a small camera. We took a number of shots to test the camera's responsiveness, from switch on to first photo, shot to shot, focusing speed etc. We take a number of shots and then use the average to ensure accurate and consistent tests, making it easy to compare with other cameras. The camera is a little slow at starting up, but focus speed is good. Burst shooting records at full resolution, but Hi-speed burst and Flash Burst are limited to 3 megapixels. Sample Photos - Images have good colour reproduction and are generally well exposed. Portraits have good skin tones, but red-eye is a common problem. Lens Performance - Image detail isn't the XS1's strongest characteristic but as most users will resize their images for sharing on the web this won't really be an issue, just don't expect quality large prints. There is some purple fringing in contrasting areas but this is kept under control. The lens has a minimum focusing distance of 5cm which allows for a fairly decent macro shot. ISO Noise Performance - Noise is low at ISO 100 and 200, with images becoming a little soft at ISO 400. Images become softer still at ISO 800, and even softer at ISO 1600, but not much detail is lost. White Balance Performance - The Auto White Balance (AWB) performs well under both the incandescent and fluorescent lights. There is an incandescent preset, which gives a slight colour cast under the incandescent light, with no fluorescent preset available, so you have to rely on the AWB here. Panorama mode - You can shoot panoramas using filters, which is quite a unique feature. They are well stitched together but detail isn't great, again fine for sharing on the web though. Digital Filters - The XS1 has colour modes to choose from when using normal picture mode. But if you're in Creative Control mode there are a wide range of filters to choose from, with examples above. Video - Below is a video recorded in 720p HD, quality is good. You can't use the optical zoom during recording but there is digital zoom, an example of which can be seen on the ePHOTOzine Youtube page. The Panasonic Lumix DMC-XS1 is available for £86.52. 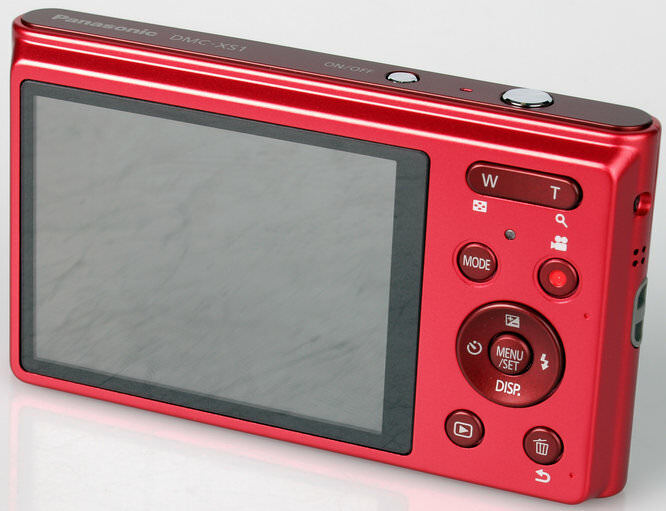 Other entry-level cameras include the Fujifilm FinePix AX650 at £49.99, Nikon Coolpix L27 at £49.99, Olympus VG-180 at £64.99, Canon PowerShot A1300 at £55.80 and Panasonic Lumix DMC-FS50 at £73.42. 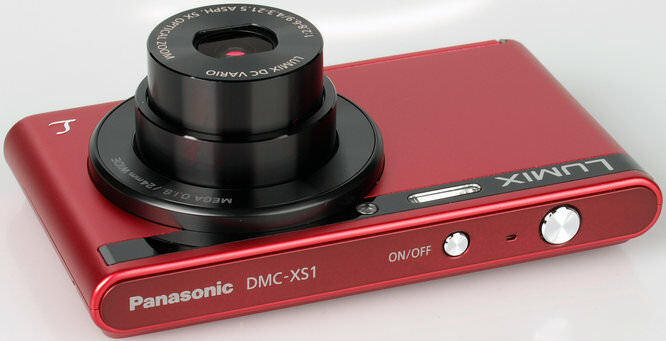 The Panasonic Lumix DMC-XS1 is an ultra-compact camera that is going to appeal to the younger generation. Yes, image quality isn't the best, but for sharing on the web you can't complain. It has a metal body, available in a variety of colours and battery life is fairly respectable. There are cheaper entry-level cameras on the market, but you'll struggle to find a smaller, more stylish one. This might be the worst Panasonic ever....ok for small prints.